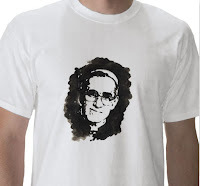 According to a front page story in a Salvadoran newspaper, T-shirts bearing the likeness of Archbishop Romero are second only to those with the emblems of the most popular soccer teams in terms of sales in El Salvador, and the reporters were able to visit six factories churning out Romero tees for the local markets. LA PÁGINA, August 29, 2011. 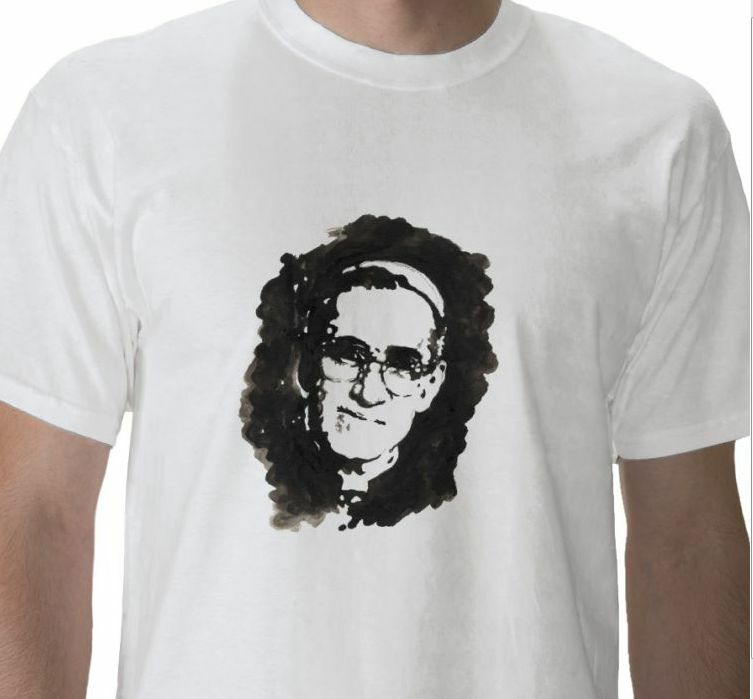 The article cited a merchant in a downtown market who said that, “The image of Archbishop Romero is imposing. It is rare these days to find a Christmas crèche that does not include his figurine. The people demand it.” The story quoted an economist as saying that at least a thousand Salvadorans earn their living from working at NGO’s bearing Romero’s name. Read more here as well as much more about Romero by Polycarpio.